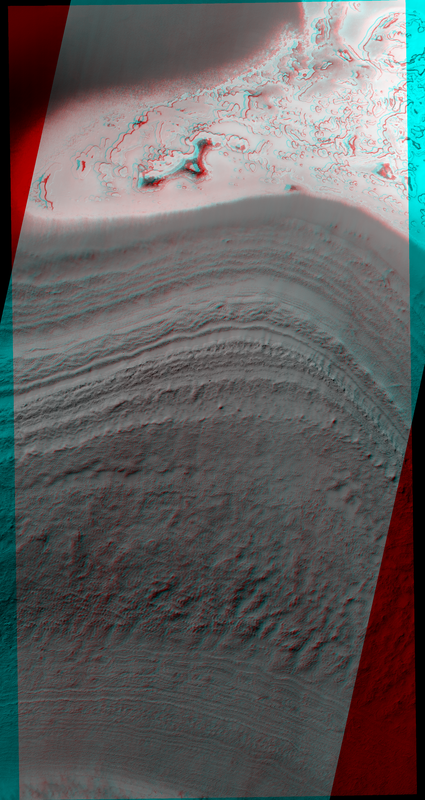 This scene is about 2.7 kilometers (approximately 1.7 miles) long and shows part of the edge of the south polar residual cap in enhanced color. Illumination is from the lower right. The relatively bright, grayish areas are the residual cap, and the darker, reddish areas are mostly likely covered by dust. 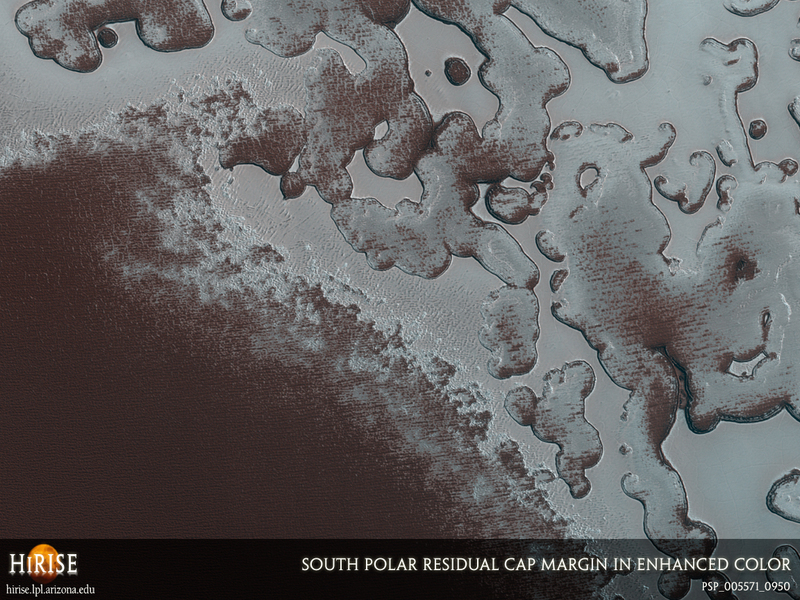 The south polar residual cap is made, for the most part, of carbon dioxide ice (commonly called "dry ice") and dust, with a little water ice in some places. 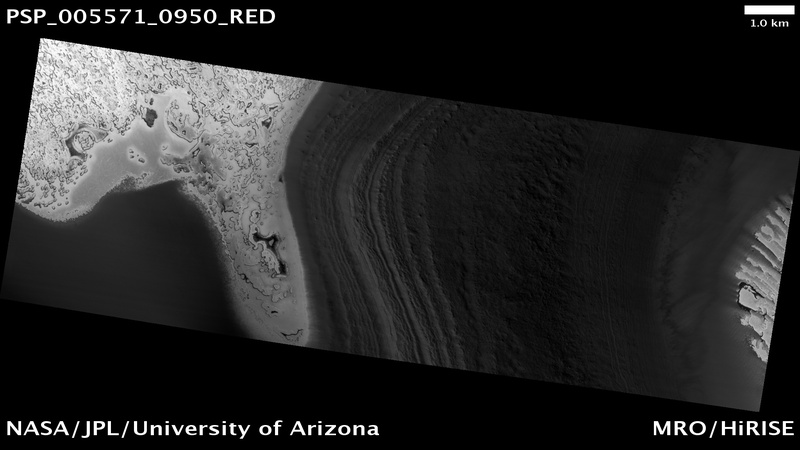 In the subimage, one can see fractures in the residual cap ice near the margin and, farther in, circular depressions that, in some places, appear to have coalesced. These depressions constitute what is called "Swiss cheese terrain." and it's fairly easy to see why. The Swiss cheese terrain is created when the carbon dioxide goes directly from the solid state (ice) to a gaseous state (the more familiar carbon dioxide gas) as temperatures warm during south polar summer. Swiss cheese formation may also be linked in a complicated way to the behavior of major Martian dust storms. This is a stereo pair with PSP_005466_0950.